ADT and Protection 1 are both known to have a significant share of the home security market within the United States and Canada. Both companies offer fantastic prices and top quality services. However, only one of them is considered to be the best in home security. In this article, we will examine the two companies and help you make an informed decision when purchasing security for your home or business. I recently went through my second Rory Miller book: Facing Violence (Meditations on Violence being the first). Of course I would read this (instead of some light short story) while vacationing abroad! In any case, the book was enjoyable we as well as instructive. 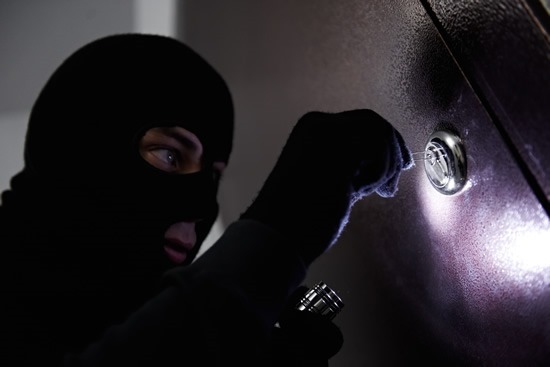 American households face a lot of threats, nevertheless by and far, burglary is regarded as the regularly occurring. FBI numbers show us that every 15.4 seconds, a burglary is happening somewhere in the US. Burglary, by its definition takes place when we’re not home, and involves no confrontation, but is a property crime nonetheless. A basketball game turned rhetorical shouting match which soon turned into a physical confrontation when what clearly appears to be the more aggressive of the two takes a swing at the other. The fight quickly goes to the ground and the aggressor ends up in a leg lock, and quickly subsides when he realizes he’s within seconds of not playing basketball for several months, and potentially never playing at whatever level he is currently playing (due to the reduced mobility he may later have to deal with). It is a little known fact that ADT doesn’t only deter would-be burglars. ADT home security systems detect poisonous gases as well as smoke through sophisticated sensors and monitors. Experts recommend getting an all inclusive system (to include smoke and gas detection) for full coverage. In the event that something unexpected happens, such as a burglar breaks into your home or something catches on fire, the proper authorities will immediately be notified and that could mean the difference between a bad day and a very, very horrible life-altering day. So think about investing in a system, perhaps a guard dog, extra fencing, etc. But say you don’t want to go all-out like that. ADT offers outstanding standalone home security systems. These systems are doubly effective in protecting your home in that one, they deter criminals from trying to break in at all, and two, if they do, help is not far because the alarm that the unwelcomed guest has triggered will be a signal for police, fire department, and National Guard to show up and regulate. Yes, perhaps not the National Guard, but you get the idea. Your home is protected. And at the end of the day, that’s what counts. Resetting an FC code begins at the control panel keypad. But even before that, you need to know what kind of alarm control system you’re working with. Let’s start with the FC code designation itself. This code is short for Failed Communication and you can reset it by following very simple steps. For instance, if you have a A910 control system, the first thing to do, as mentioned above, is locate you keypad. And that’s all you remember. Reason: you passed out while trying to help the girl. So now both you and the girl are passed out, which is not good. Now back to the A910. Locate the keypad. Next, Press and hold the #9 button for three full seconds, which will sound off three beeps, then enter your master code, then 9, then #, and finally *. And that’s all there is to it. So remember: with any problem solving, do it in the proper order.